Primate Ecology: Studies of Feeding and Ranging Behavior in Femurs, Monkeys and Apes describes the behavioral aspects of ecology, including activity patterning, food selection, and ranging behavior. 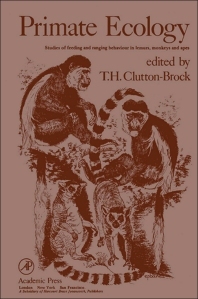 The book is composed of 19 chapters; 17 of which are concerned with the ecology or behavior of particular social groups of primates, arranged in the taxonomic order of the species concerned. The final two chapters review some of the generalizations emerging from comparison of inter- and intraspecific differences in feeding and ranging behavior. The book aims to suggest areas of particular interest where research can be usefully developed.